Europe to the rescue: can the Iran nuclear deal be saved? The deal will collapse when European companies, under threat of US sanctions, leave Iran. Trump’s decision to reimpose sanctions on Iran has left European leaders scrambling to keep Tehran in the Joint Comprehensive Plan of Action (JCPOA) — an agreement which aimed to curb Iran’s nascent nuclear program in exchange for sanctions relief. – EU measures designed to save the deal are unlikely to convince enough European companies to stay in Iran. Tehran is therefore likely to violate the JCPOA. – As part of its exit from the deal, Iran will likely begin enriching uranium at levels above the threshold set by the JCPOA. – The revival of Iran’s nuclear program will considerably raise regional tensions, although a direct military confrontation between Iran, Israel and the US remains unlikely in the short-term. President Trump withdrew the US from the JCPOA on May 8, citing several perceived deficiencies in the agreement — especially the ‘sunset clauses’ in which key restrictions on Iran’s enrichment of uranium will expire by 2031. Trump also pledged to reimpose sanctions on Iran by August and November — depending on the industry — respectively. These sanctions not only forbid US companies from doing business in Iran but, through secondary sanctions, could also penalise foreign companies that deal with Iran. Possible penalties include loss of access to the US market and finance flows, fines and even criminal prosecution. Due to the US-centric nature of the global financial system and the fact that the US dollar remains the currency of choice for purchasing oil, many corporations — particularly European companies — are highly vulnerable to these secondary sanctions. Desperate to save the deal, France, Germany and the UK have pushed for the adoption of several measures at the EU level to safeguard European business interests in Iran. Accordingly, the European Commission has proposed three main measures to counter US secondary sanctions. To bypass reliance on dollar payments for oil, the Commission recommended that European central banks directly transfer Euro payments to the Central Bank of Iran (CIB). Complementing this, the European Investment Bank (EIB) will provide European companies doing business in Iran with an alternative source of finance. Finally, the aptly named ‘blocking statute’ prohibits, at least theoretically, European companies from complying with US sanctions, as well as giving these companies the possibility of recovering damages against the US government. For their part, the Iranian establishment appears willing to stay in the JCPOA, provided that the EU — Tehran’s largest trading partner — and to a lesser extent Russia and China, can guarantee that they will continue doing business in Iran. 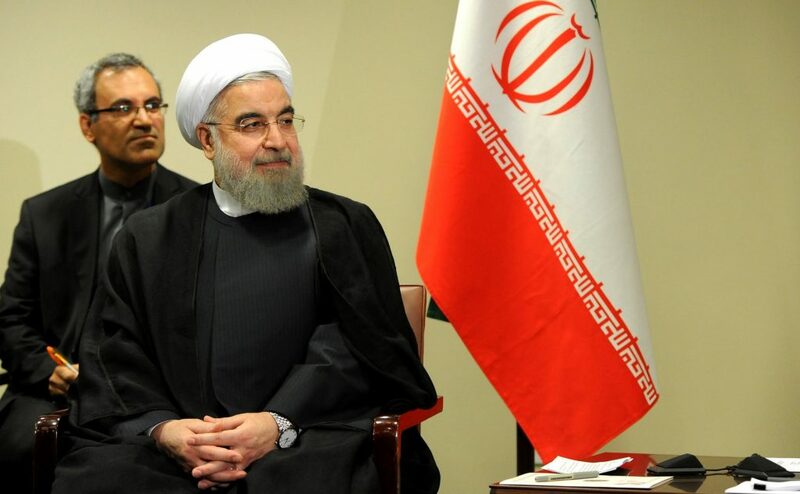 Iranian President Hassan Rouhani has staked his political credibility on the deal; he fears a conflict with Israel or the US and does not want to exacerbate economic conditions given the turbulent domestic situation within Iran. At the same time, Iran will not stay in the deal unless the EU makes it worth Iran’s while, especially because considering hardliners’ opposition to the JCPOA. To up the pressure on the Europeans and as a possible sign of things to come, Supreme Leader Ayatollah Khamenei — who will ultimately have the final say on whether Iran stays in the JCPOA — recently ordered the nation’s atomic body to prepare for enhanced uranium enrichment, albeit within the confines of the deal. That is, for the time being. CAN EUROPE PRODUCE THE GOODS? 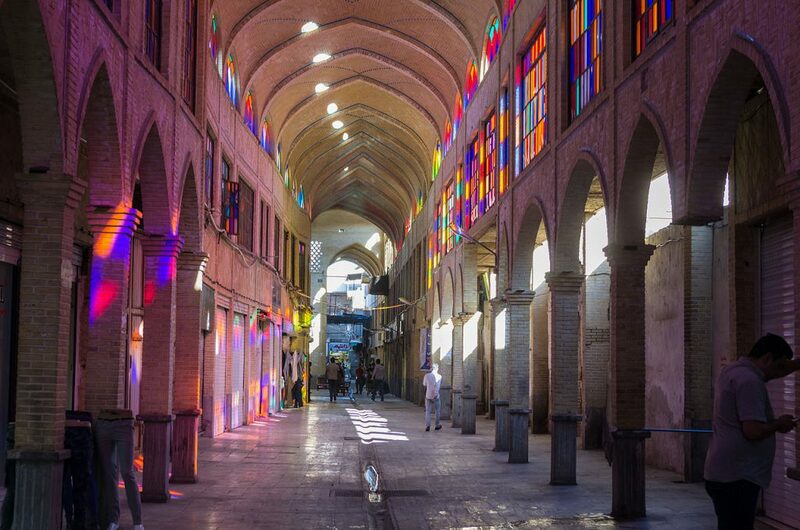 The EU’s efforts to protect European operations in Iran are unlikely to be successful because, when faced with a choice between the Iranian and US markets, it is a financial no-brainer for most companies to opt for the latter. European central banks and the EIB will be vulnerable to losing access to the US capital market if they implement the EU’s envisaged measures regarding transfers to the ICB and loans to European companies operating in Iran. Understandably, both institutions have expressed their reluctance to go forward with these plans. Moreover, both measures would only help small- to middle-sized firms with limited exposure to the US market and financial system, as companies with US interests that continue to operate in Iran would still be at risk of sanction. On the political side of things, French President Emmanuel Macron is said to be worried that transfers to the CIB will further inflame the ongoing transatlantic trade dispute. Moreover, the blocking statute will have little practical force. It is highly unlikely that EU companies would be able to recover damages from the US for imposing sanctions. Macron has also ruled out enforcing the statute — which would effectively force EU companies to stay in Iran, whatever the cost to their business — while German Economy Minister Peter Altmaier has expressed doubts over the merits of the proposal, suggesting that Germany may yet veto it. In what amounted to a tacit recognition of the inadequacy of the Commission’s proposed measures — and the uncertainty over whether they will even pass muster at the European Council and Parliament — EU leaders wrote to US officials on June 4, requesting sanctions exemptions for European firms. Do not expect such efforts to be successful. The Trump administration has shown that it is not moved by appeals to transatlantic solidarity. Allowing exemptions would also clearly undercut Trump’s quest to force Iran to sign a more comprehensive deal. Having read the tea leaves, a host of European companies — headlined by French energy giant Total — have already begun withdrawing from Iran. Unless Trump has a sudden change of heart and grants widespread exemptions — perhaps for EU concessions on steel exports — or Russian, Chinese and Indian companies somehow make up for the inevitable loss of European business, it appears that the JCPOA is doomed to collapse. In the wake of Europe’s weak offerings and pressure from hardliners, Iran is likely to violate the JCPOA. Emboldened by the validation of their narrative that the US could never be trusted, hardliners will demand nothing less. Rouhani — whose political stock is likely to fall given the deal was partly his brainchild — will have little room to mount any resistance. Expect Iran to first violate the deal by enriching and stockpiling uranium at levels above those mandated by the JCPOA. Given Iran’s domestic circumstances and its various foreign policy entanglements, it is unlikely that Tehran will be bold enough to go full steam ahead towards obtaining a nuclear weapon — the so-called ‘breakout’ scenario. Similarly, Iran will also probably refrain from other risky measures like withdrawing from the Treaty on the Non-Proliferation of Nuclear Weapons. 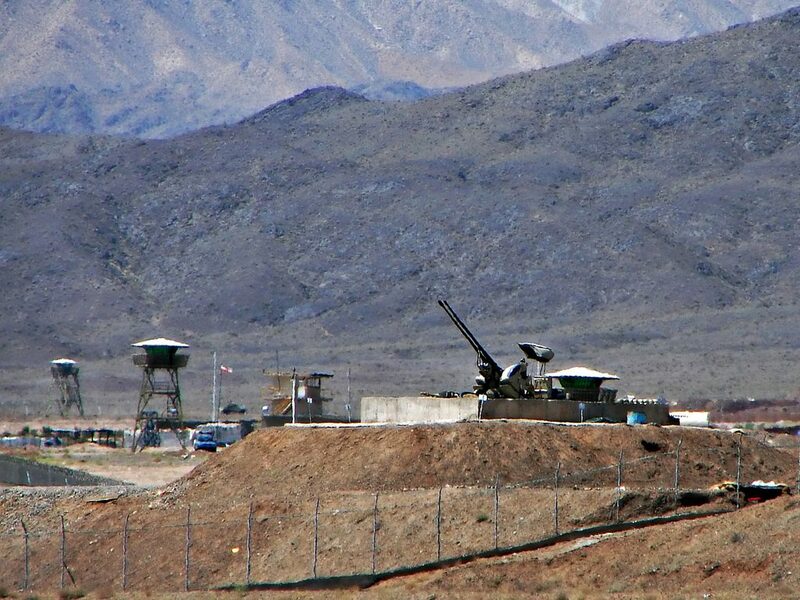 However, any Iranian move towards restarting their nuclear weapons program will exacerbate regional tensions, raising the possibility that Israel and the US will militarily confront Iran. For now, the possibility of direct military conflict remains somewhat unlikely, unless Iran does indeed move towards breakout. Directly attacking Iranian territory is a whole different ballgame to striking Iranian interests in Syria — the latter of which Israel has shown a willingness to do — and Tel Aviv would likely find itself in a conflict with a well-armed adversary. Another possibly protracted Middle-Eastern conflict would also not bode well for the self-styled ‘America First’ president. Nevertheless, US Secretary of State Mike Pompeo and National Security Advisor John Bolton are notoriously hawkish on Iran, with the latter being a long-time advocate of regime change. In Israel, Prime Minister Benjamin Netanyahu has vowed to never let Tehran obtain nuclear weapons. 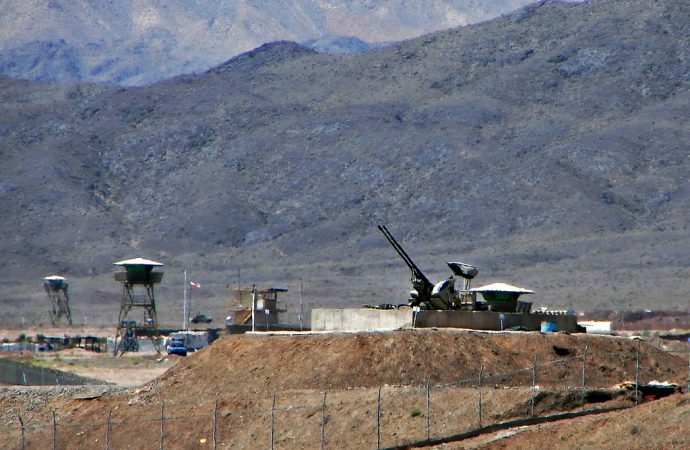 The possibility of war should not be completely discounted, as it is not impossible to envisage that hawks in Washington and Tel Aviv will push for a strike against Iran, even if Tehran takes only minimal steps to restart its nuclear program. In any case, future strikes remain a risk if Iran’s nuclear program makes significant progress. Ultimately, Europe’s measures seem destined to come up short. With Iran likely to violate the JCPOA, the Middle East will become a whole lot more unstable.